Bring Licensed Themed Characters to life! Nock Entertainment Group, Inc. Produces Licensed Themed Stunt Shows! 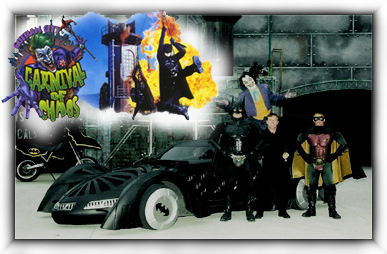 Nock Entertainment Group, Inc. is the producer of The BATMAN Stunt Show Carnival of Chaos at the SIX FLAGS AMUSEMENT PARKS presented at Six Flags Great Adventure, New Jersey - Six Flags Over Georgia - Six Flags Over Texas, Arlington Texas and Six Flags Elitch Gardens in Denver Colorado. Japan Shows: The Power Rangers Power Circus presented at Mitsue Greenland Amusement Parks in Japan. 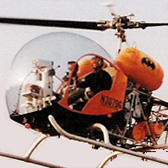 Captain Eugene A. Nock's FAA Licensed Helicopter Trapeze AirShow. 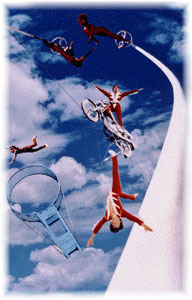 A Trapeze Suspended beneth a Specialized Helicopter and a Trapeze Artist performs Spectacular Aerial-thrills. Owner and Head Pilot: Captain E.A. Nock, A.T.P. and over 14,000 hours of flight time. 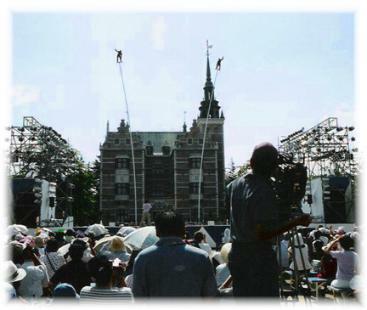 Custom Stunt Shows Designed to Your Event. Nock Entertainment Group, Inc. is a full service Thrill Show Production and Consultant Company! Entertainment Production roots dating back to 1840! 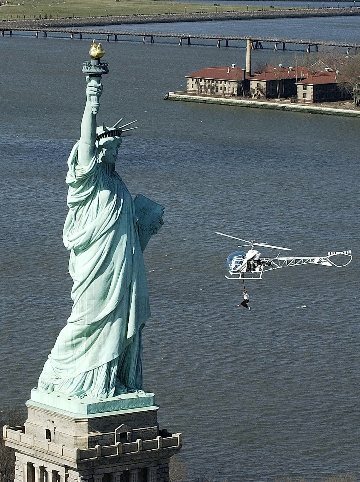 Producing the highest of quality Aerial Thrill Shows at your: Special Event . Stadium Show . Private Party . Grand Opening . Fairs . Amusement Park . Our Shows have Awesome Crowd Guest Appeal and are Huge Media Magnets! Contact us today to Custom Design a Sensational Unforgettable Show!! !